In that spirit, here's a Contrarian salute to the peripatetic righty pictured on this obscure 7-11 card, who started pitching for Baltimore in 1959, but went on to San Francisco, New York, Chicago, and Cincinnati before hanging up his cleats a decade later. On this date in 1965, Jack Fisher beat Pittsburgh 2-1, raising his record to 5-4. Being the Mets, he dropped 20 of his next 23 decisions and led the NL in losses. Only twice in those games did his New York teammates offer more than 3 runs of support. Founded in 1927, 7-11 now serves 18 countries and almost 40,000 locations. Modern collectors know their plastic discs inserted in Slurpee and Big Gulp cups, but this crude 30-player set marked the chain's first attempt at sports cards. 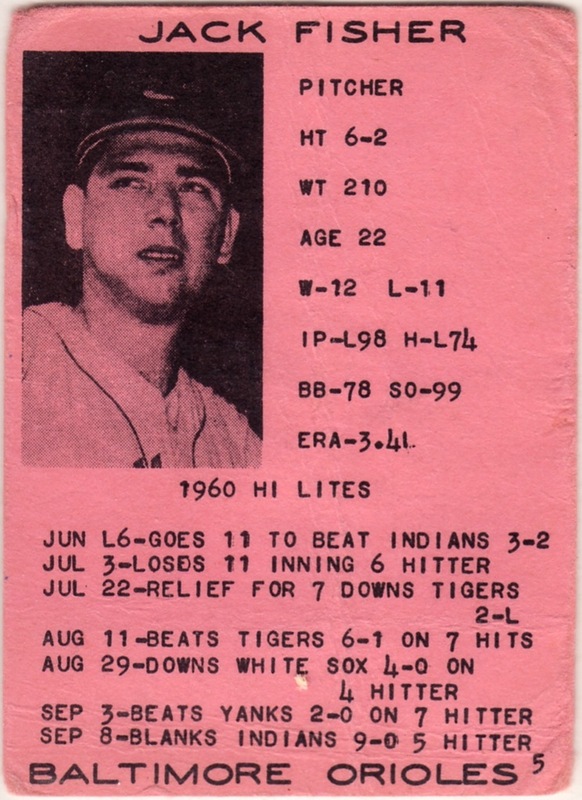 Vending machines in 1961 offered seven cards for a nickel and featured both active stars and a couple of retired HOFers (Jimmie Foxx and Met Ott). Unfortunately, stores soon ceased the promotion and few cards survive. Value: This low-grade #5 cost $10 on eBay a few years ago. 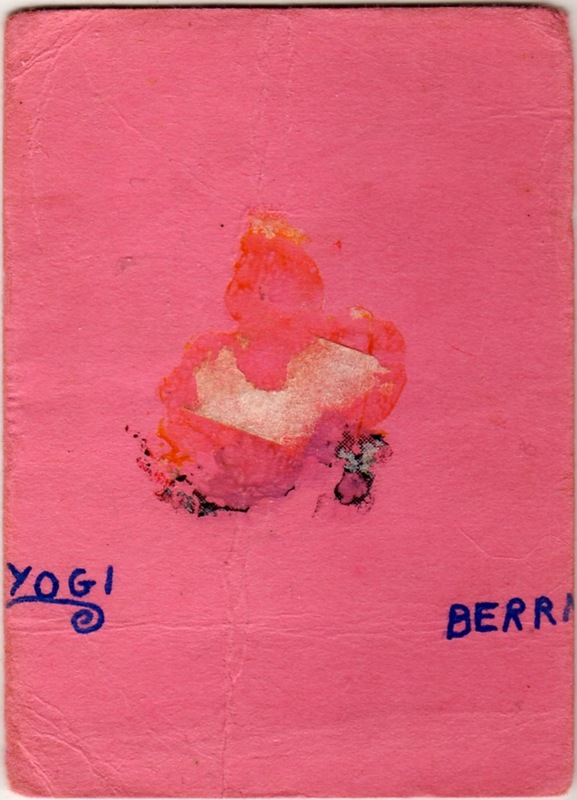 I fortunately didn't have to pay a premium for Yogi Berra's signature on the back--such a deal! Roger Maris and Willie Mays prove most valuable at $200 or more for cards in decent shape. Fakes / reprints: It'd be easy to fake this black-on-pink set, so be careful when purchasing stars and buy from dealers you trust.